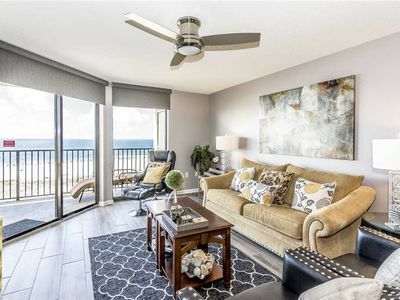 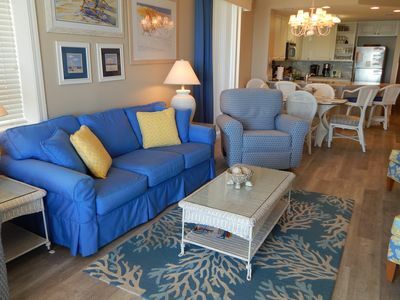 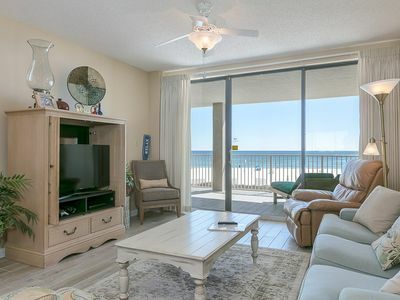 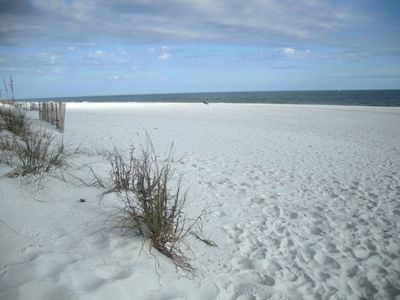 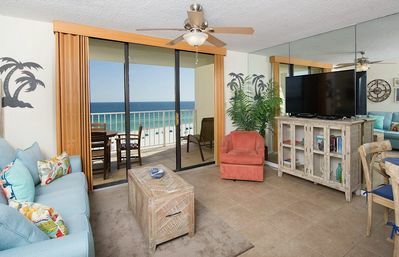 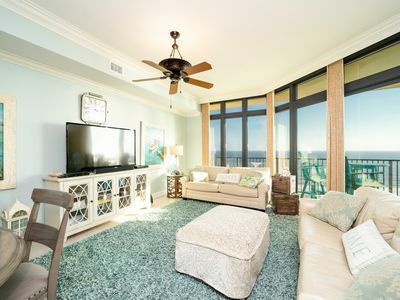 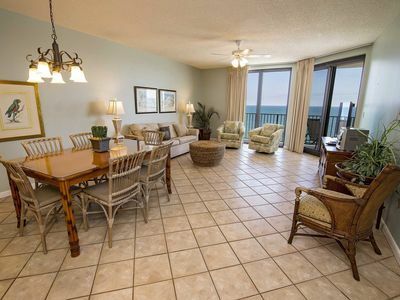 This 2 bedroom, 2 bathroom unit is conveniently located in Orange Beach. 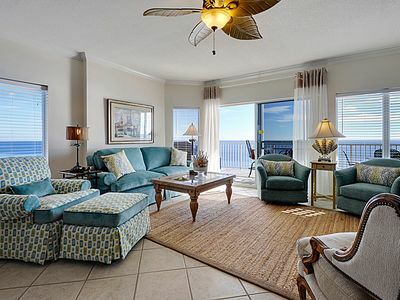 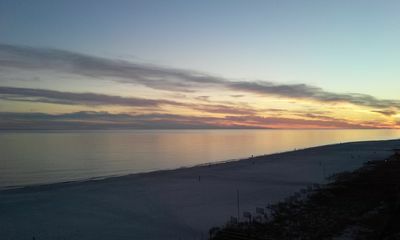 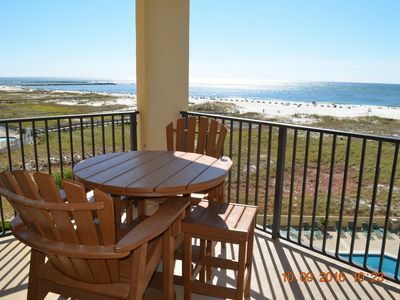 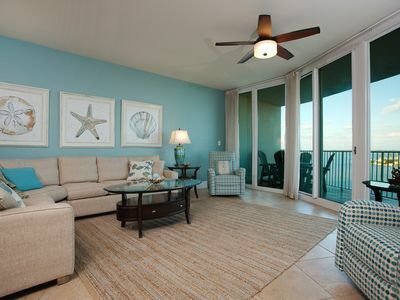 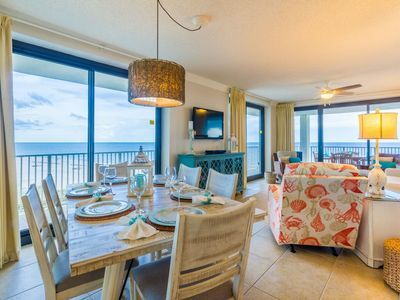 Enjoy the views of the white sandy beaches, the Gulf of Mexico and the pass from your private balcony. 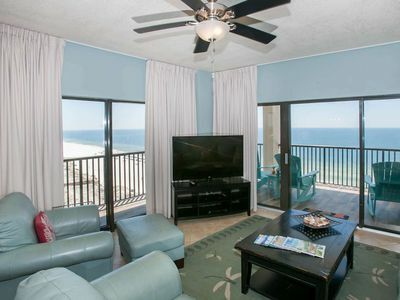 There is a King bed in the Master Bedroom, flat screen TV, private bath and balcony access. 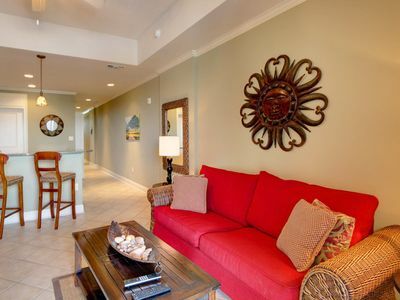 The second guest room has two Full beds and flat screen TV. 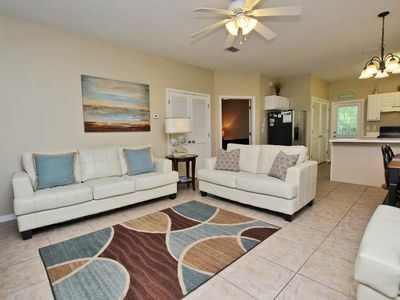 There is also a Sofa Sleeper in the Living Room with a flat screen TV. 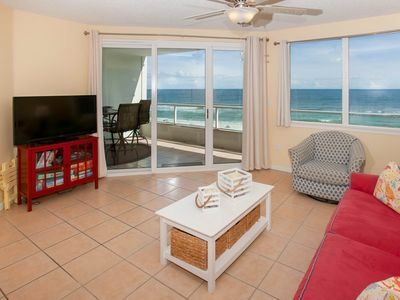 This property also offers free WiFi. 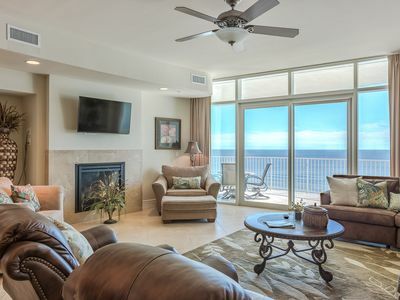 Phoenix VII amenities include an outdoor pool, indoor heated pool, children's pool, hot tub, sauna, grilling area, exercise room, lighted tennis courts, basketball court, and racquetball. 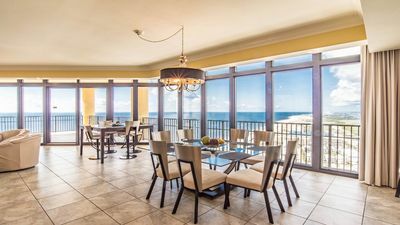 The Palms 1001 - FREE GOLF, FISHING, DVD RENTALS, WATERVILLE AND ESCAPE ROOM TICKETS! 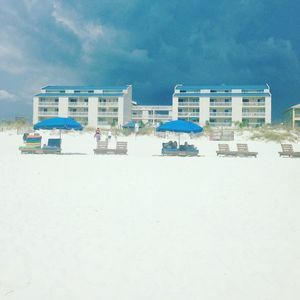 Silver Beach 503 - FREE GOLF, FISHING, DVD RENTALS, WATERVILLE AND ESCAPE ROOM TICKETS! 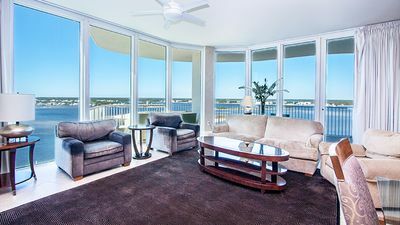 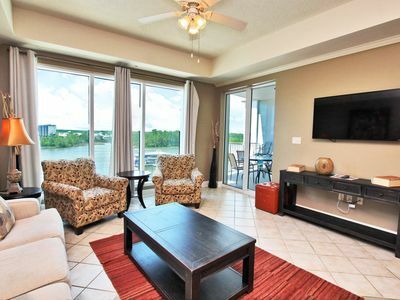 Incredible Condo At Wharf Resort ~ Beautiful View ~ Exciting Resort Amenities!